green beans eaten fresh – not dried – are young seeds picked when unripe. The type of legumes we’re wary of are dried beans – beans that are allowed to dry on the vine until they rattle in their pods. Green beans and fresh peas are picked before they dry. In fact, green beans and peas have been bred to be digestible, palatable, and easily cooked before maturation. 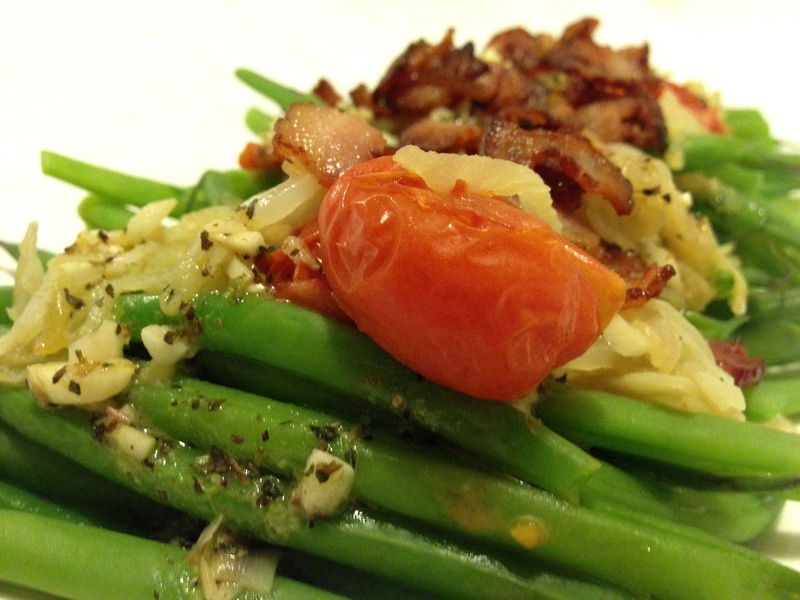 When it comes to fresh Green Beans, this salad is a killer Primal dish! Black Pepper, freshly ground to taste. Cook green beans in salted water until tender-crisp. Blanch in ice water and drain when cool. Sauté bacon until crisp and julienne. Sauté onion rounds in butter and 2 tbsp of olive oil until caramelized. Add 1 minced garlic clove and sauté on medium heat for 2 minutes, then remove from pan and cool. Add cherry tomatoes to the pan and sauté until juices start to release. Place green beans on a platter and top with sautéed onions, then cherry tomatoes. For vinaigrette – in a bowl slowly whisk basil, dijon, garlic, zest, vinegar and salt & pepper together. Drizzle half the vinaigrette on top of the green beans. Top with bacon and cracked pepper. Add remaining vinaigrette and serve. 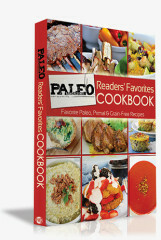 This dish goes great as a side with Paleo Salmon Sticks, enjoy!